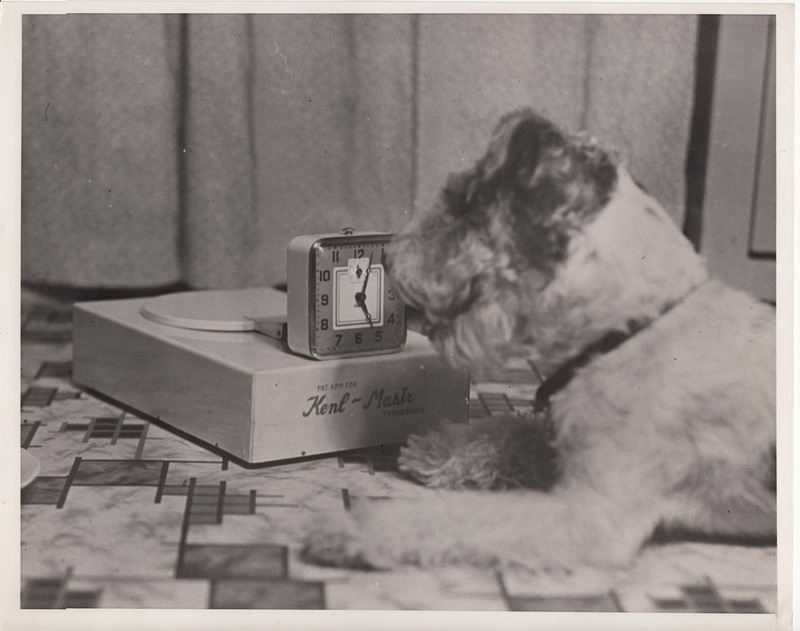 Publicity photograph for the Kenl-Mastr automatic pet feeder. Photographer unknown. Undated (1939). This reference was in one of the New York City shopping surveys that the magazine still occasionally publishes. Incredible! Notice the alarm clock in the second photo is set for a few minutes past six o’clock. The people who set up the shot are suggesting that six is the normal dinnertime for city dogs. Now go back and look at the first picture. The clock is set for ten minutes after five o’clock, and the handsome wire-haired fox terrier is shown already waiting at the feeder. 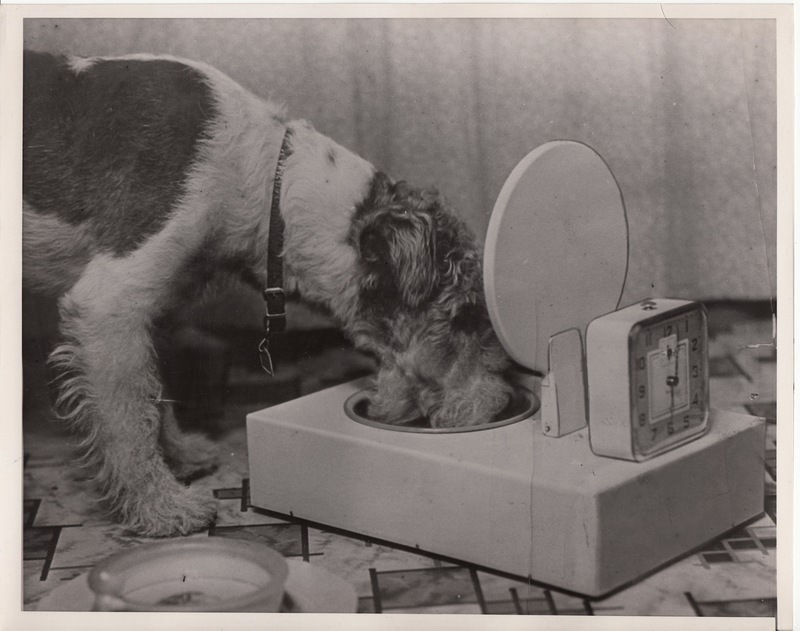 This is apparently intended to suggest that dogs in the 1930s tried to push dinner time up a bit, just as every dog I have ever owned has tried to do. The feeder does not turn up in any of the trade catalogs or magazines in my collection. The Kenl-Master Manufacturing Company is listed in a 1939 Los Angeles phone directory I found online — but here the trail ends for the time being. The feeder device looked somewhat similar to one I employed for my cat in the 1990s, but DEFINITELY not with that now-not-so-innocent name! I actually purchased one at a resale store… and it works.